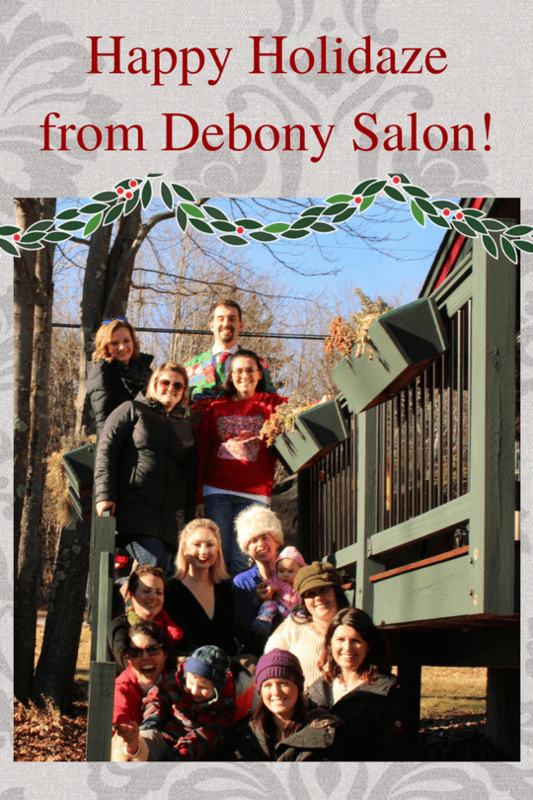 A Year in Review at Debony Salon! mily, joined by Krista, Kendra, and Melissa; as well as the teams’ families at home with the arrival of Alice Kenney, and the anticipated arrival of the newest little Schoen! We welcome them all with open arms. The staff at Debony will be committed to customizing each customer’s experience specific to their needs concerning personal appearance. With superior customer service as a priority, Debony is an environment committed to inspiring creativity in hair design, cosmetics, fashion, and all aspects of living. We take that commitment seriously, and we support it through our commitment to ongoing education. In addition to being a teaching environment, where we are training our own new talent through our apprentice program every day! The International Beauty Show in NYC, The L’anza BIG Event in Cancun, Mexico, The Massello Beauty show inProvidence, RI, 4 Make up trainings, Four Long Hairdressing Classes, Four color trainings with L’anza and Aveda, Three skin care trainings, and a Threading class. Let us not forget Jen in massage taking Joint replacements: The Patients Surgical Journey, Massage ramifications, The Anatomy and Physiology of The Spinal Cord, and two trainings on cancer and massage therapy, collectively participating in well over 50 educational opportunities. The interpretation of hair, fashion, and interior design is ever-changing, and so are we. Through our commitment to education, we can continue to support our mission and our commitment to you! We cherish being your hometown salon. We love being a meeting place in this community. We appreciate your business.